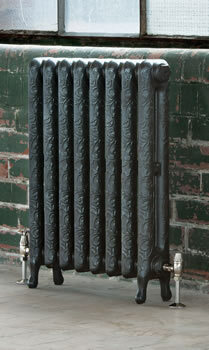 Art Nouveau Cast Iron Radiators are Priced per section - Select your choice of finish. 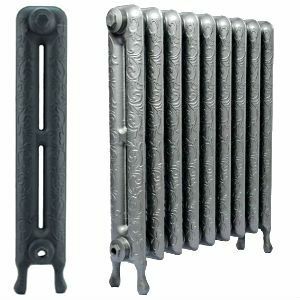 The tall 750mm Art Nouveau Cast Iron Radiators are popular in both modern and traditional settings. These cast iron radiators are styled in The Art Nouveau period of 1890–1910. A slender cast iron radiator has an intricate scrolling pattern that adds a touch of grandeur to a classic radiator design. 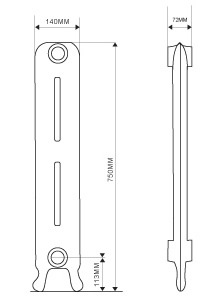 One of the slimmest radiators in our collection, it is perfect for smaller spaces. We have the strictest quality control process at our factory in Yorkshire to ensure that each and every cast iron radiator is of the highest quality. 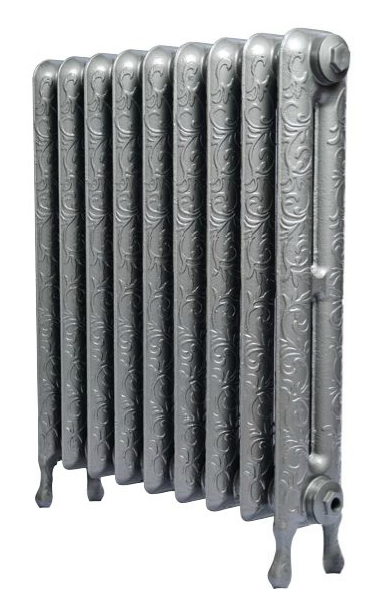 All cast iron radiators are delivered to you fully assembled and tested in accordance with the British standard. 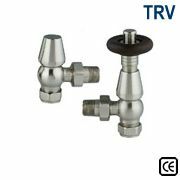 They also have a full 10 year guarantee to ensure peace of mind for years to come. 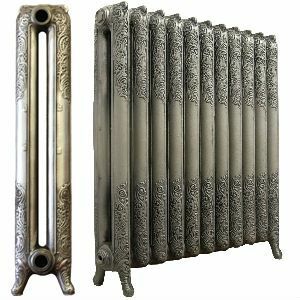 As standard, Cast Iron Radiators come finished in a primer, with the option to have them painted in any standard RAL colour, highlight polished, or polished these can be finished to suit any property, be it a period building or contemporary. Orders can be placed online or you are welcome to call our friendly staff on 01723 321000 who will be happy to assist you. 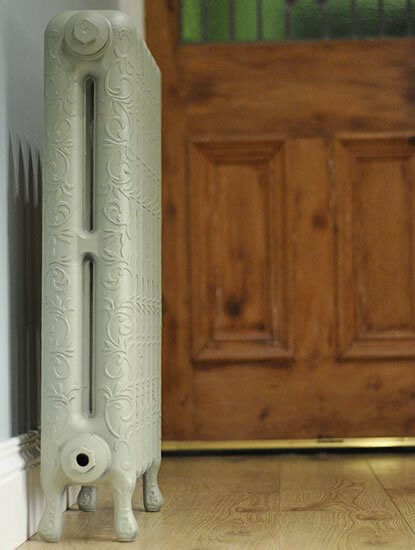 As standard, Art Nouveau Cast Iron Radiators are finished in an off-white primer, with the option to have them finished in the UK's widest range of paint, metallic or polished finishes to suit any property, be it a period building or contemporary apartment. For more information about our range of finishes click here.